We are now one month into the new year. What has 2019 brought you so far? And more importantly, with 8% of the year already behind us, what have you accomplished? Every year, we set goals and resolve to make major changes. Yet, one month into the year, many of us are still stuck in a rut. For people that have made health or fitness resolutions, well, it's cold outside and other people at the gym seem to look better than we do. And, it's easier to just get caught up with television after work rather than going to a yoga class. How about your business goals? Are you making progress on them? You'll recall an earlier post, Goal Setting in 2019, in which we shared tips for setting goals and included a worksheet to download. If you missed it, download the goal-setting worksheet here and get started now! I heard someplace that goals are something you get, and projects are something you do. 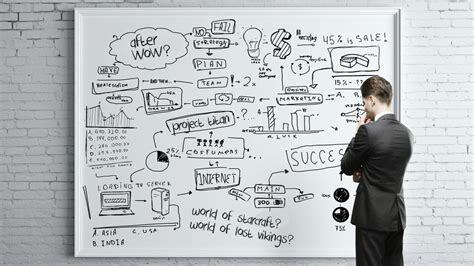 We 'do' projects to accomplish specific objectives. Yet, projects have typical cycles. Usually, we are highly energized to start a new project. In new product development (NPD), we get excited when we see a customer's need and we think we can easily solve their problems. We are engaged and creative at the beginning of a project. But, when the real work sets in, the project becomes drudgery. It's hard work to find potential customers to interview and survey. It's not necessarily fun to collect and analyze quantitative market research data. It's hard to build a prototype and test it. And it's even harder when our potential customers shake their heads, say 'No,' and we are forced back to the drawing board. Precisely because of the mid-project letdowns, we must set goals and objectives before a project starts. Goals and objectives must be measurable so we can tell we are making progress and we know when we've reached the zenith. In agile project management, we call this the 'definition of done.' So, for new year's resolutions related to fitness, you may not yet see a weight reduction after one month at the gym, but you will notice improved energy and mood. You can measure your progress by the number of nights you went to the gym instead of watching television and you can count your new friends as a measure of progress, too. As we discussed in our 2019 kick-off post, goals have to be measurable. You should strive for big goals and objectives but to achieve them, you will need to break them into smaller parts. In traditional project management, we call this the work breakdown structure. Your big strategic goal might take all year to achieve and can be overwhelming when you first think about it. Being a bit dazed by the scale of our vision can lead to inaction. Yet breaking that strategic goal into tactical deliverables and operational actions can help us change our habits so we achieve the goal piece-wise. Tactical objectives are major milestones or deliverables that we can review and measure on a monthly or quarterly basis. Operational actions are day-to-day tasks we do that help us achieve the tactical milestones. We should review and measure operational actions on a daily or weekly basis. You can download a goal-setting worksheet here to help you decompose your big strategic goals into measurable tactics and operational activities. I go even further by categorizing each item on my daily to-do list as strategic, tactical, or operational. For example, as a new colleague with Jill Hickman Companies Authorized Partner Network, I am now offering Ken Blanchard's Situational Team Leadership training. I have daily to-do list items to build the marketing for this program – despite the fact that it is a fabulous and well-tested leadership model that sells itself! Some of these actions are purely operational, like adding the classes to my website (coming soon at www.Simple-PDH.com). Others are tactical with medium-term deliverables, such as contacting existing clients who have expressed interest in further leadership and innovation training. Both he operation and tactical objectives are measurable and support my strategic goal to share the Situation Team Leadership model with others. Whitney Johnson recently posted the probability of achieving goals under various conditions (citing an ATD/BYU study). The probability of completing a goal if you have the idea to do so is only 10%. Yet that probability soars to 50% if you have a plan. More critical is the probability of achieving a goal if you specifically schedule accountability appointments – a whopping 95%! 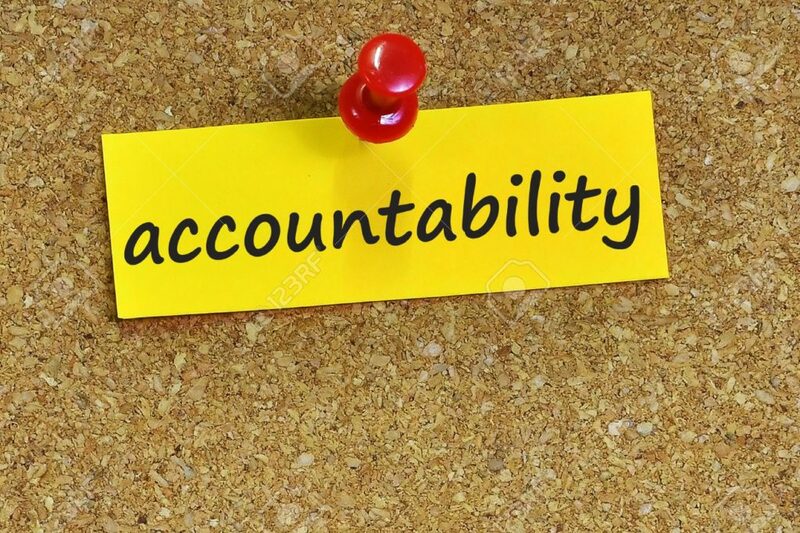 So, when we are accountable to others, our goal achievement is most likely and nearly guaranteed. One of the ways you can ensure accountability is by sharing your goals and objectives publicly. In an agile project environment, NPD team goals are shared on the Scrum board and in daily stand-up meetings. We build accountability to reach our innovation goals by committing features to customers during concept and prototype testing. We can achieve personal and professional growth goals by participating in public leadership training, whether face-to-face or online. accountability word on notes paper with cork background. Recall that achieving a 95% probability to meet your goals comes from committing to specific accountability appointments. This is a key feature of any master mind group. In the Innovation Master Mind (IMM), we meet monthly to collaborate and brainstorm solutions to each person's specific innovation challenges. And at each meeting, every group member commits to at least one specific, measurable action that brings him or her closer to their strategic objective. And we hold them accountable by checking on that action item and goal progress at the start of each meeting. Consider the IMM as your personal innovation advisory board, trusting your expertise while holding you accountable. Goals are more than just dreams or projects. Dreams are our hopes and fantasies that we know might never come true. Projects are the work in which we are engaged. Goals are specific, measurable, and time-constrained. We set strategic goals to achieve big things in innovation or in our personal lives. But these goals are often too large to tackle all at once. So, we break down big, strategic goals into tactical deliverables and milestones which are supported by operational actions that we can complete daily or weekly. Tactics and operational tasks are doing the project while the goal is the end result of the project. Goals are best achieved with two key aspects: measurement and accountability. Each one of our big goals must be measured and we must be able to communicate our progress toward that vision by meeting operational and tactical deliverables in the short- and medium-term. Accountability increase goal achievement to an incredible 95%! Become self-accountable by sharing your goals and progress toward them on a regular basis through an advisory board. Finally, if you want to really achieve step changes in your new product development and professional growth as an innovation leader, join the Innovation Master Mind (IMM) today. I also offer individual coaching that holds you personally accountable to meet strategic objectives while accelerating your product development cycles. And, if you want a preview of the Situational Team Leadership training, please contact me at teresa@globalnpsolutuions.com or 281-280-8717. I love helping individuals, teams, and organizations achieve their highest strategic innovation goals!